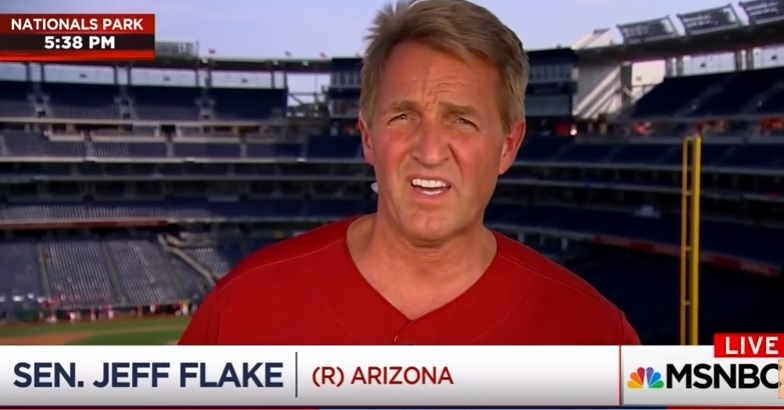 Before the start of the annual Congressional baseball game #NeverTrump Senator Jeff Flake (R-AZ) went on MSNBC from the stadium to trash President Trump. Flake agreed with MSNBC host Chuck Todd that the president should tone down his rhetoric. This comes after a deranged Bernie Sanders supporter gunned down Republicans at a baseball practice field. Jeff Flake is a disgrace.